Anyways. In other news, I spent a lot of time studying this reading, as evidenced by my Instagram photos. I also did some math problems today with my handy-dandy book. 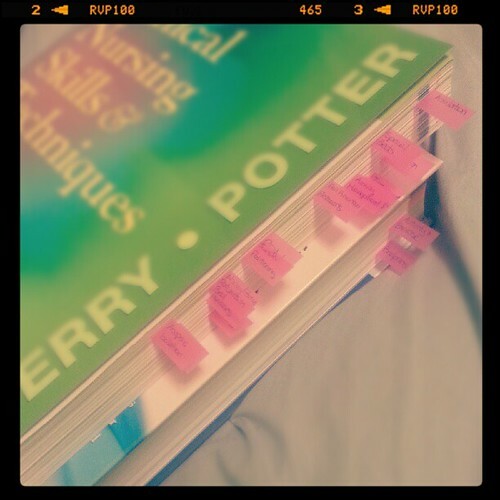 My Clinical Nursing Skills & Techniques textbook that has become well-flagged in the last three weeks! 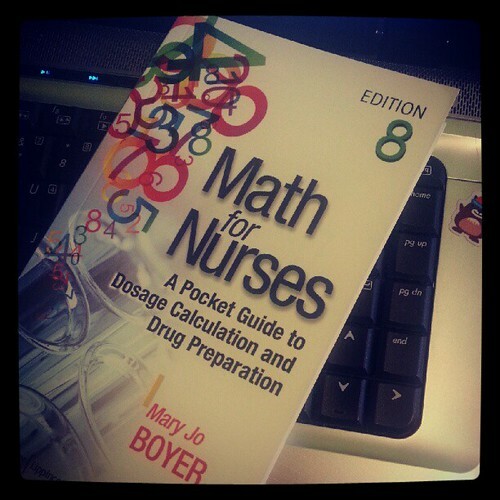 My new ‘BFF’, Math for Nurses (8th edition, for anyone who cares). Super handy for practice problems!